Artengine Blog: Does innovation in culture and commerce mean the same thing? Does innovation in culture and commerce mean the same thing? This past weekend I was honored to be an invited guest at the Canadian Arts Summit hosted in collaboration between Business for the Arts and the Banff Center. The weekend was quite an incredible assembly of cultural leaders, insightful keynote speakers, with senior leaders sharing their depth of experience and a powerful range of emerging leaders presenting their models of working to some of the most important cultural institutions in the country. It was a pleasure to be around such a rich depth of thinking about cultural leadership, and I have returned from their with many critical and insightful thoughts. What follows here is one of set of thoughts about the relationship between the idea of innovation in art and innovation in business … or perhaps better said between the meaning of innovation in culture and commerce. Michael Serbinis is the CEO and Founder of League, a healthcare start up which most of don’t know about yet. 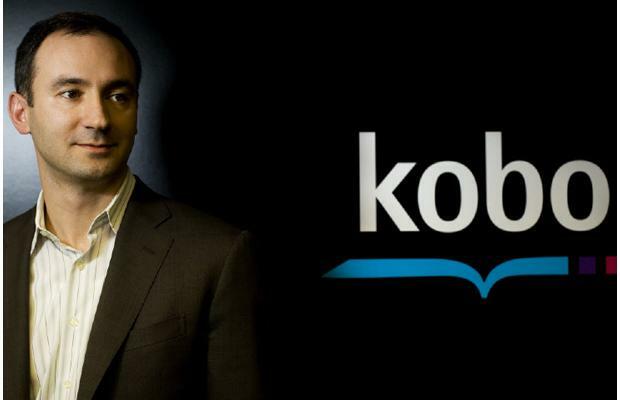 We do know about Kobo however, and among the many other technology successes he has fathered Kobo is probably why people where most excited to have him present a keynote. Serbinis was not giving a talk about culture and digital technologies specifically though, he was there to give a talk titled ‘Innovation by Design’. The talk itself was a reflection of his experience in building new technology and new companies in tandem, and he distilled it to 6 or 7 points about how he sees the process of innovation. I’m not going to cover those points really. I start with Serbinis not because I think he had anything radical or groundbreaking to offer us (I did write them down though, including ‘compete or perish’), but because I think it is the foreground through which interesting questions about the weekend, and its many conversations, began to emerge. Serbinis has an incredible wealth of experience, talent and intuition in the realm of innovation in business and technology, but does this translate directly to arts and culture? Or more precisely, should it? Among many in attendance I felt a strong desire to, somehow, capture this entrepreneurial spirit embodied by Serbinis. It wasn’t through keynote alone, there was also a tangible curiosity about the application of startup and venture capital concepts into cultural organizations. This conference was, of course, hosted by Business for the Arts, and its mission is to expand a conversation between commerce and culture, so in this context connecting innovative ideas in business to cultural institutions makes lots of sense. Cultural institutions of all sorts have been long attracted to business language. The language of metrics, strategy, marketing, and more is already built into the everyday language of our organizations, and it is now almost impossible to avoid the talk of innovation in every aspect of society. But here I have this question – is innovation in culture and commerce the same thing? If it is does it happen the same way in both areas? If it isn’t, then do we need to consider what needs to be changed when we want to translate models and methods for innovation across these two areas? Or can something else happen to transform how we think about innovation in general? Some of these questions come from an interpretation of the subtext of some dialogue happening between commerce and culture. It can often feel when working from within culture that we should, as cultural practitioners, look for models and methods from the world of commerce. Organizational models, approaches to risk, capital development and technological change that is working in various commercial sectors should help us build our professional capacities as individuals or organizations. I am all for the dialogue between different domains of our society, but it can become difficult at times to see where the back and forth of this dialogue happens. In the case of innovation the dominant conversation is a kind of society-wide excitement (and sometimes terror) about the destabilizing forces of technological developments on many established areas of society, from the film industry to health care. The question of how to innovate a new product or service is a pressing one for those anticipating change, but perhaps it is also a self-fulfilling prophecy. The more any existing area of society is destabilized, the more new opportunities arise for business and technology innovation, that may lead to more destabilization and more opportunities… but I am not an expert in this domain so I will leave my conjecture at that generalization. The point is that innovation in the area of business and technology (from my perspective) both creates and relies on destabilization and better ideas are not always the result in a profit centered context. While I am suggesting that profitability is an important driving force, it is far too simplistic to simply discount commercial notions of innovation on this fact. It is always far messier than this and there are so many interesting socially minded commercial innovations we have seen in the last ten years. What I am wondering about is where can we see the dialogue happen across the grey areas between culture and commerce? How do we account for and disseminate notions of cultural innovation that can contribute something to a wider conversation within society? Here is one challenge – what is special and different about the concept of innovation in arts and culture? How do we speak about this? At the heart of this difficulty is perhaps the tension between the necessity for something new (in the most immediate sense) for it to be considered innovative, and the imperative for culture to engage traditions of making and performing that sometimes span millennia. The time frame around what is new in culture is much broader than a few product cycles. It can move across time, but also a diversity of voices and perspectives, and the very question of what exactly might be new is more complicated. I would offer though that, despite these complications, the central concern of innovation in culture is a new way of being in the world, this may be the actual cultural experience but also the conversation at the core of its development, the organizational model that guided it into existence or the approach to connecting and assembling any number of diverse publics or audiences. In this sense it may be interesting to consider how we can develop new models of innovation within cultural landscapes that could influence larger societal ones. If making culture is meant to be in a dynamic tension between past and future and to reflect, respond and create new ideas of ourselves, sometimes regardless of their profitability (or even sustainability) how can we articulate this value? Maybe if we could shift the conversation so that we import and translate ideas about innovation from the business world, but that, from the world of arts and culture, we export innovation that challenges us all to consider new ways of being in the world. This entry was posted on Thursday, April 7th, 2016 at 4:32 pm	and is filed under Ryan Stec, Artistic Director. You can follow any responses to this entry through the RSS 2.0 feed. You can leave a response, or trackback from your own site.